Earlier this fall DYMO sent me not one, but two labelers to try. (Happy day, right?) 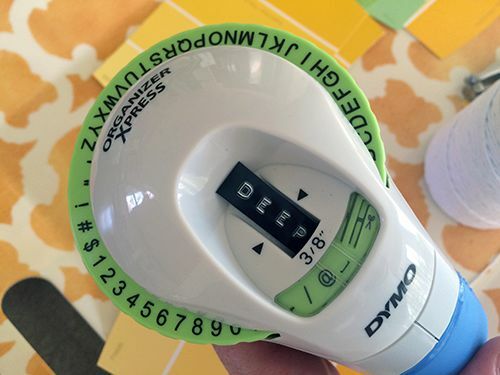 The second one, the DYMO Organizer Xpress Embossing Hand-Held Label Maker (12965) is super cute and affordable. 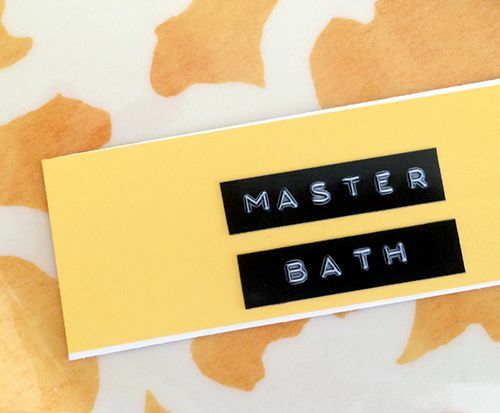 It’s a terrific choice if you aren’t sure about how far you want to go with this labeling thing or if you want to give your organizing projects a retro feel. This old-style labeler uses embossing to make the labels, much like the labeler my dad used when I was a kid. Love that! Even though it’s called the Organizer Xpress, this labeler is equally at home in the craft room. Picture a scrapbook with Polaroid style prints and old-style DYMO labels. Too cute, right? I decided to give this baby a test drive in my laundry room. During a recent simplify 101 online event, I reorganized this space and used temporary labels. I decided it was time to go for something a bit more fun, and a bit more permanent. Inspired by an idea I saw on Instagram, I stopped by Home Depot and picked up some paint chips. Then, I grabbed my DYMO Organizer Xpress, some twine, a paper trimmer and a hole-punch and went to town. First, I trimmed the paint chips down to a single shade of yellow. 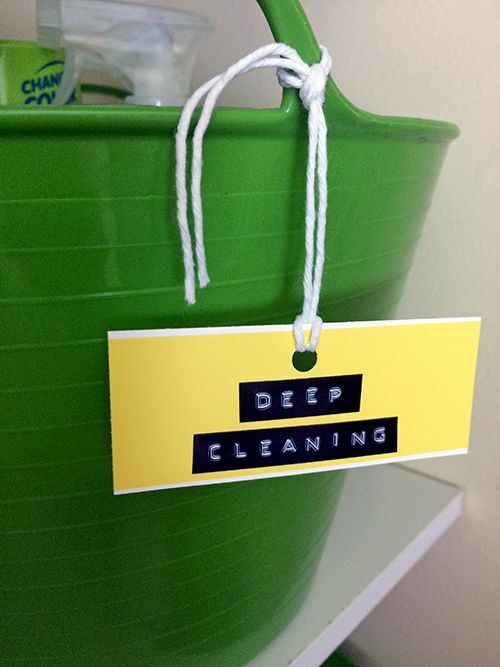 Then, I created a label for the cleaning supplies we store in our laundry room. I have them organized by bathroom (master bath, hall bath) and then there’s another bucket for deep cleaning supplies. Once I made the labels with the Organizer Xpress, I simply attached them to the cut-to-size paint chip. 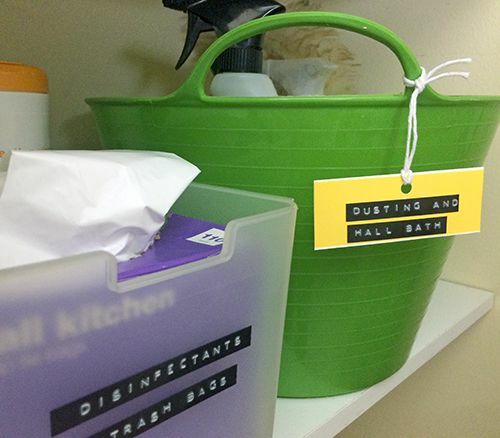 Once the labels were made, I punched a hole at the top and tied them onto the green buckets of cleaning supplies. If you’re looking for some ideas to add to your holiday wish list, the DYMO Organizer Xpress or the DYMO Label Manager 160 are terrific options. If you’re like me, you’ll definitely have the itch to organize come January, so why not have a new toy in your organizing tool kit. It will make January all the more fun! Hi, Aby: I noticed in your photo that you had also stuck the label directly on a plastic container. Have you had any issues with those popping off? I used this same type of label, however, all of them eventually fell off the plastic. I really like the idea of putting them on paint chips instead–very decorative and practical! This is a cute tool. I’m starting to like this. Thanks! I bought a Dymo embossing label maker recently and I use it to make retro-looking cards. I just create a black label (like Thank You or Happy Birthday) and stick it on the front of a craft-paper card. So easy and cute. 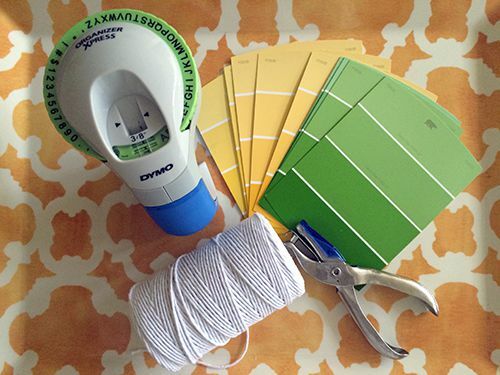 Love the paint-chip label idea!